When it comes to prom, there are many things that need to be organized, coordinated and put together. 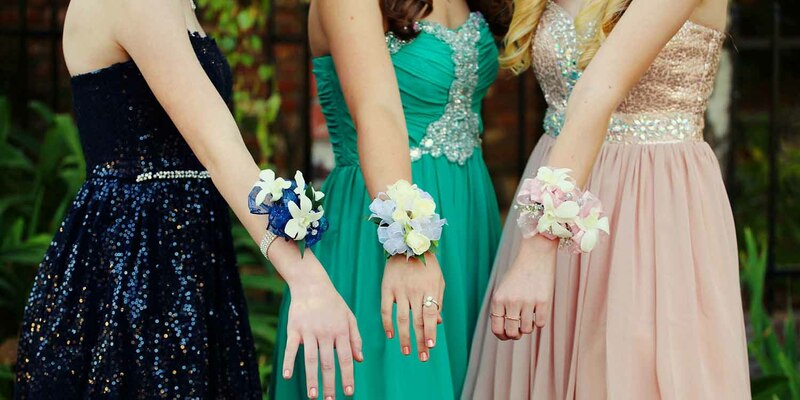 Flowers are just the icing on the cake and no prom would be complete without them. Whether you have a romantic evening planned or are going to dance the night away with a group of friends, it’s always nice to have a corsage, boutonniere or bouquet ready as the perfect accessory to a beautiful ensemble. Here are some tips from JJ’s House to help you find the perfect flowers for the prom of your dreams. It’s pretty customary to match the corsage to the prom dress and coordinate it with the boutonniere. If you’re going to have a bouquet, naturally that should coordinate with the overall look as well. Colors are very important, and fortunately there’s a virtually endless array to choose from. If the shade you want can’t be found in nature, many flowers can easily be dyed to the color of your choice. Wear colors that coordinate with your dress and then coordinate the boutonniere with the corsage. Get a bouquet that complements the corsage and boutonniere to complete a coordinated look. It’s helpful to bring some color swatches of the dress and tuxedo to the florist so that they can get the shades just right. You can also coordinate the embellishments in the corsage with your own accessories. For example, if you’ll be wearing a pearl necklace, have the corsage made on a pearl wristband. If you’re going to prom with a date, sit down and discuss all this so that you’re on the same page. Doing so can be a big relief for an overwhelmed young man too. Before we talk about proper storage and how to wear these beautiful arrangements, here’s a big no-no: never ever leave the corsage, boutonniere or bouquet in the car or in the freezer. Extreme temperatures will make the flowers wilt and even kill the entire arrangement. Pick up your flowers a day or two in advance and store them on the top shelf in the fridge. If you have a bouquet, simply place it in a vase with shallow water to keep it hydrated and looking new. 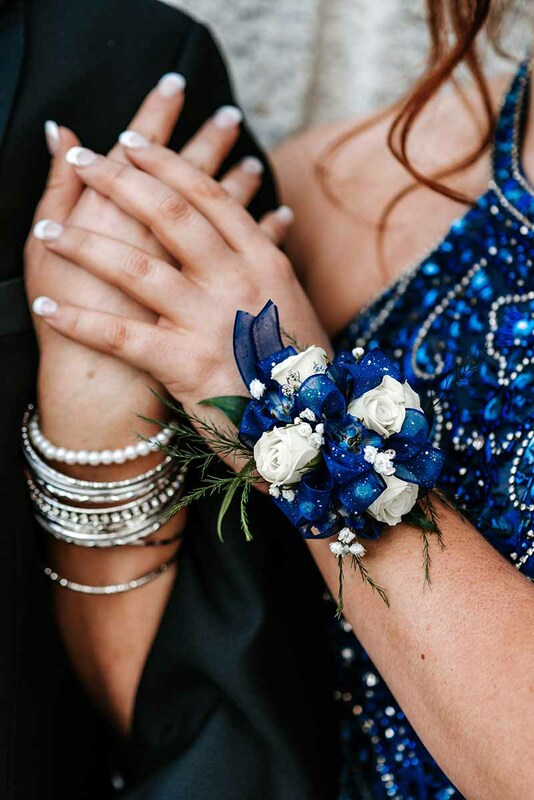 The corsage can be pinned to the dress on the left of the chest, but with prom dresses 2019, it’s much more common for them to be worn around the left wrist. 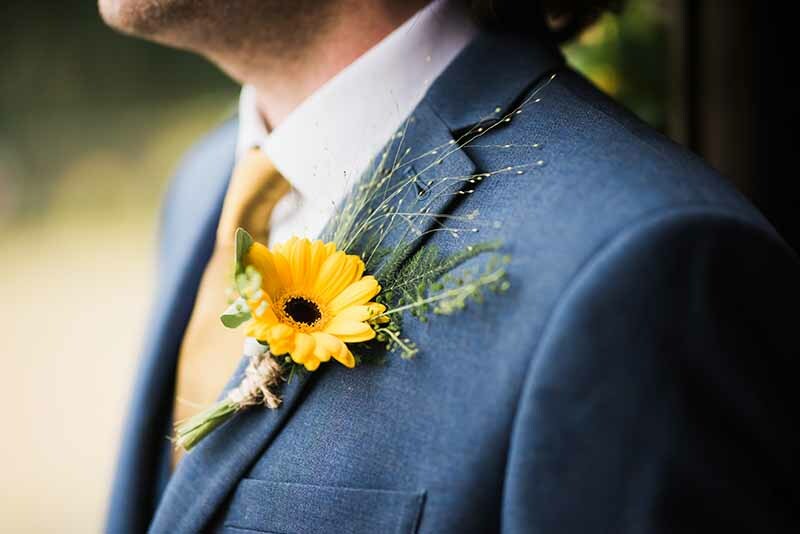 Boutonnieres should be placed on the left shoulder or lapel of the man. Use a bouquet of flowers as a nice photo prop if you’re getting pictures taken before or after the event. Though the flowers might come last in ensemble planning, don’t wait until the last minute to throw the arrangements together. These items take time to be crafted by hand, so if you want the best you can get, you need to give the florist a reasonable amount of time to put it all together. Place an order at least a week in advance. Now that you know everything you need to know about prom flowers, you can put the perfect finishing touches on your ensemble and enjoy a magical evening at prom.